After a day full of great presentations from 24 startups, the TNW team has selected a winner for its Boost competition (a partnership with PayPal): DocuCollab. If you haven’t been keeping up with us on Twitter, DocuCollab is what you’d expect from its name: a platform for simplifying collaboration on documents. In a relatively crowded space with Google Docs, Office Online, and now Dropbox, DocuCollab differentiates itself thanks to the level of access control it provides. Most notably, permission can be set down to individual paragraphs for team members, while team leaders have access to the full shebang. Members will only be able to work on their assigned sections, helping them focus on their task rather than adding to a chaos of collaborators, and every edit is logged into the system. The company also highlights its ‘enterprise-level’ security framework. That makes their system particularly useful for teams working on single documents, such as law firms, and there’s only ever one version of each document. 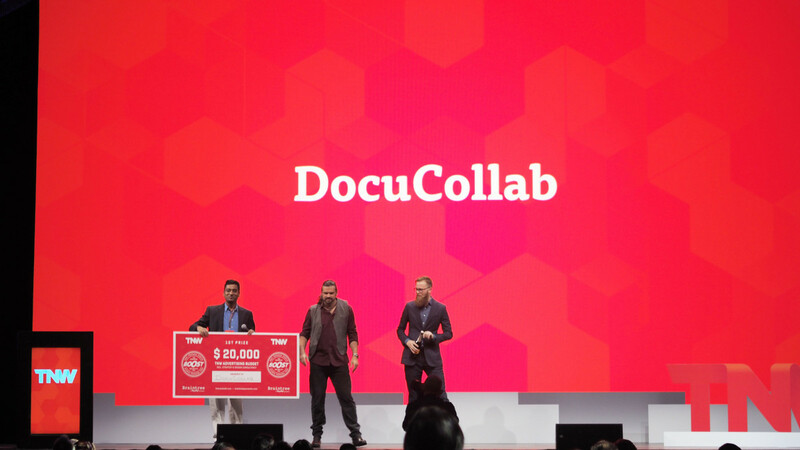 DocuCollab will take home $20,000.